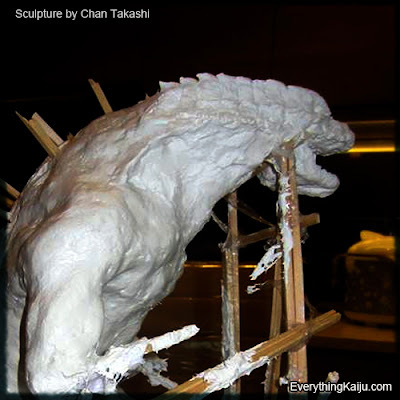 Fans, our most popular post is still Chan Takashi's first Godzilla 2014 sculpture presented here 7 days ago at EverythingKaiju.com. 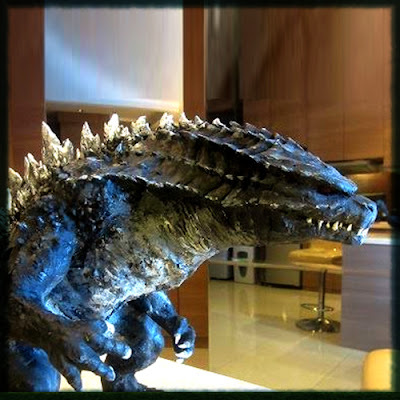 You can see the sculpture below. After receiving multiple comments from around the world, Mr. Takashi is taking another crack at the Godzilla 2014 figure and was kind enough to give us the exclusive in-progress photo. He says it will be complete in December, but as you can see he has already made some progress. 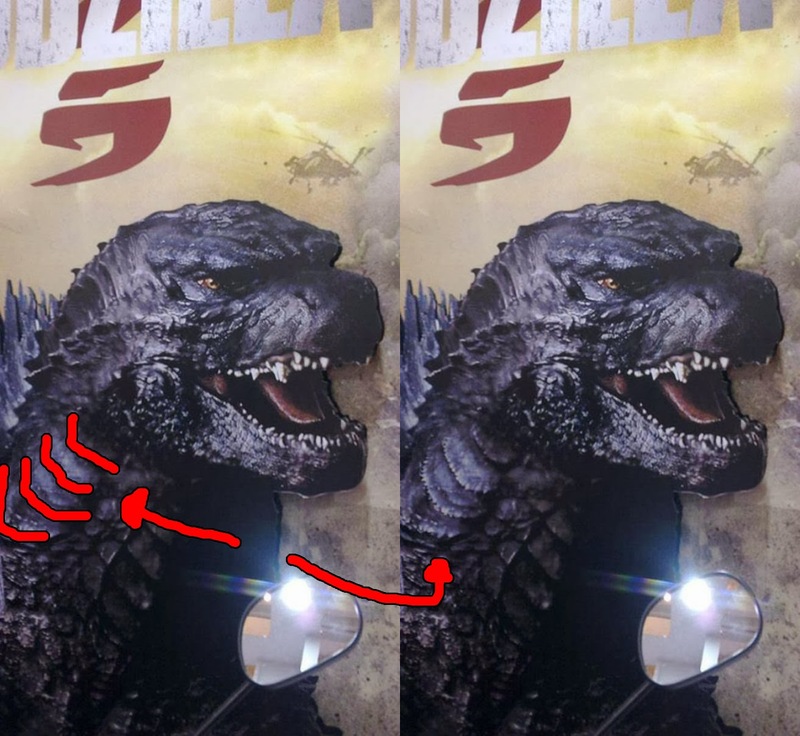 It even looks like he is using the same methodology of disposable chopsticks as scaffolding to prop up Godzilla during the production process. We had only one question for Chan Takashi. Will he have gills? He assured us, "Yes, I will be adding the gills." 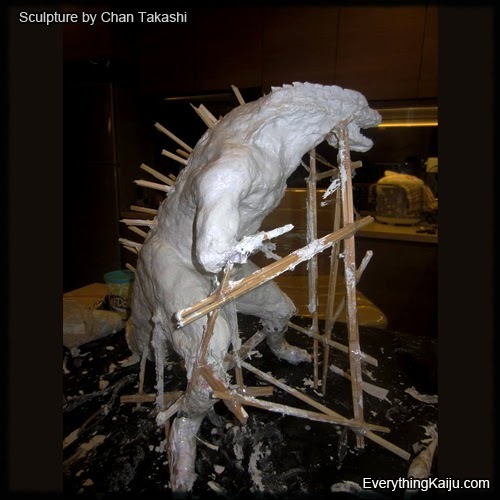 Stay tuned as we share sketches and hopefully more work from Chan Takashi. What do you think? Leave your comments below.